It’s been a few months since I’ve used ShopRite’s Shop From Home service. I was a big fan but now they have added a $5 flat shopping fee to every order, regardless of how much you spend, and I just don’t want to pay extra for my groceries. However, this week they have a deal too good to miss. Also, spend $50 and use the coupon from Sunday’s ShopRite newspaper ad to take another $5 off (or spend $100 and take $10 off)! 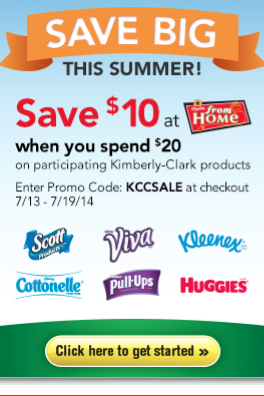 PLUS, you can also print coupons for Scott’s products HERE. And, finally, there is also a REBATE available for the same products (and more) printable HERE. I love rebates! **Update**: ShopRite stores are not participating in this rebate (CVS, Price Chopper and may others are) but you will receive a $5 coupon at the register when you spend $25 or more on these products. Total comes to $35.29 (pre-tax). I’ll get $10 off with the code KCCSALE, $7.25 off with coupons (both printable and from Sunday’s paper) and get $10 back from the rebate. Total for all items (pre-tax): $8.04 ! This entry was posted in Coupon, ShopRite and tagged Coupons, Rebate, Shop From Home, shoprite. Bookmark the permalink. I did not see Shoprite listed as a participating store for this rebate- do you know if they are participating?